I thought I had a really healthy pregnancy. I ate right and worked out regularly. 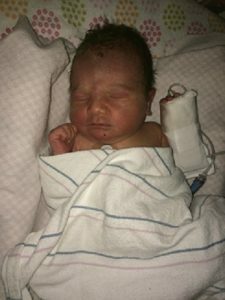 I was excited for a natural water birth and didn’t have any doubts that my baby would have any issues at all. After 11 hours of labor, I delivered my daughter Jolie Snow on January 7, 2016. She was beautiful, but the doctors were immediately concerned. 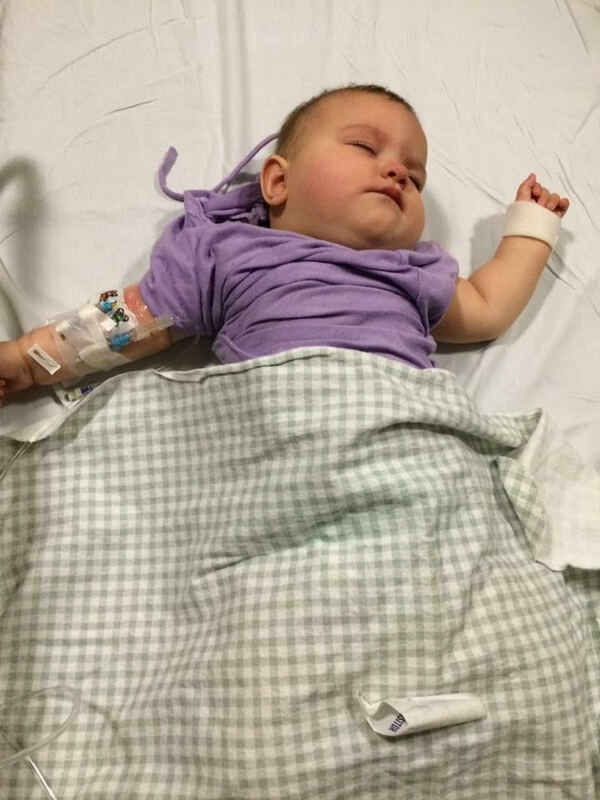 She had bruises all over her and petechia (little popped blood vessels) on her chest. I got to hold her briefly, but they soon whisked her off to the nursery. 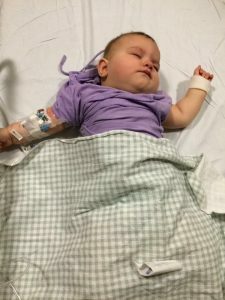 After a blood draw, the doctors came to tell me that Jolie’s blood platelets were severely low (3,000 – when they should have been anywhere from 150,000-450,000). They told me they were going to transfer her over to Children’s Hospital neonatal intensive care unit. We knew things were bad. They took my daughter before I was even discharged. I left the hospital without her. 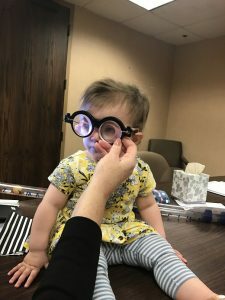 When we arrived at Children’s we felt like received more bad news daily. They found it from an MRI that Jolie had suffered a stroke in utero due to the bleeding in her brain from the low platelets. They also said the ventricles in her brain were too large, and they also found a malformation at the base of her brain called Chiari Malformation. 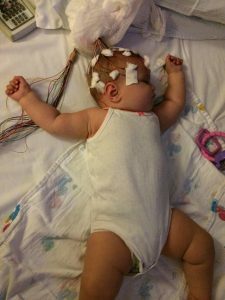 They told us what our future might look like – to expect seizures, that she may never talk, etc. They didn’t tell us that the stroke affected her eyes, but sure enough, Jolie is legally blind as a result of Cortical blindness. She is delayed cognitively and physically. 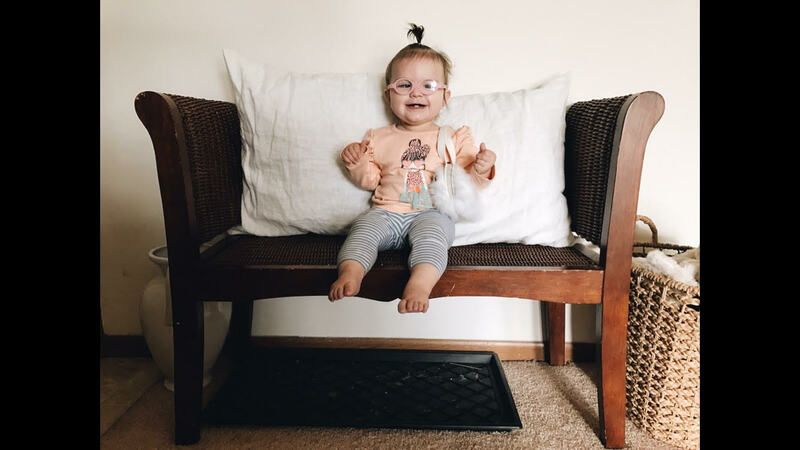 Jolie is our miracle baby and we are so happy she survived, but now she has many obstacles to face everyday.